“To move, to breathe, to fly, to float,/To gain all while you give,/To roam the roads of lands remote,/To travel is to live.”, this is what Hans Christian Andersen was saying in the Fairy Tale of My Life: An Autobiography and man he was so damn right. 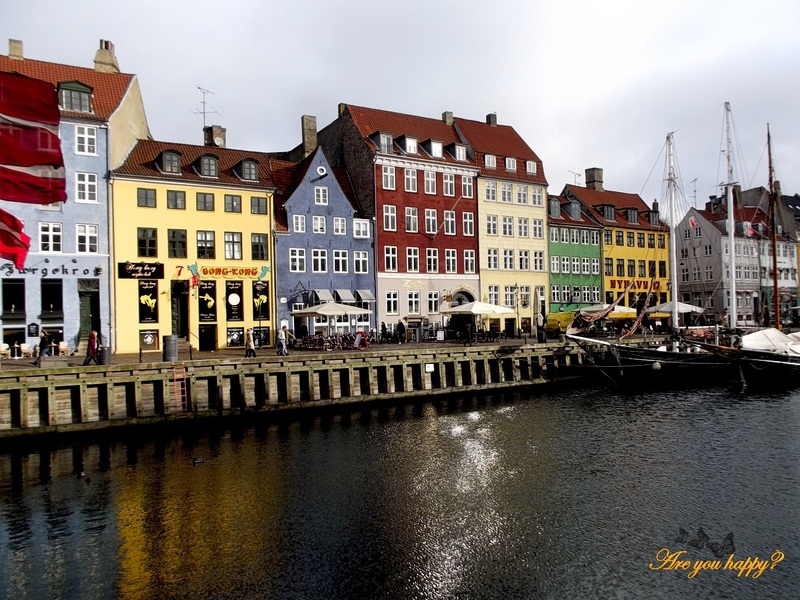 Our first trips in the Northern countries started with Copenhagen. Well now, in figures, Denmark has a population of 5.4 million people, is made up of 406 islands, is a little bit larger than the Netherlands and could easily fit into Sweden 10 times. Hmmm, too much info? We agree. Let’s better leave this details for the science people and start an imaginary scroll down the streets of Copenhagen. We promise you will love it. Most of the postcards and pictures of Copenhagen will either depict the Little Mermaid (more about this one later) or the Nyhavn area. Nyhavn is a 17th century waterfront, canal and entertainment district. It was a gateway from the sea to the old inner city where ships handled cargo and fishermen’s’ catch. In older times, it was notorious for beer, sailors and prostitution. Nowadays the area is notorious for its colourful buildings and great restaurants facing the harbour. The Round Tower is a 17th century tower located in the centre of Copenhagen built as an astronomical observatory. 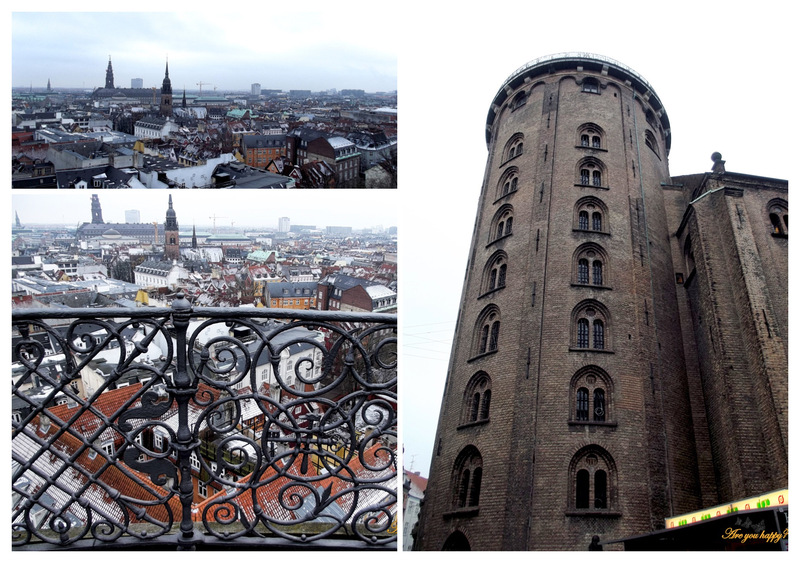 Walk the helical corridor leading to the top of the tower and you will have a great view from up above of Copenhagen. Amalienborg is the Royal Family’s main residence and consists of four similar palaces. The palaces have been built in the 18th century and represent a highlight of the Danish Rococo architecture. The Danish Royal Family enjoys remarkably high approval ratings in Denmark (somewhere between 82% and 92%). Her Majesty Queen Margrethe II has eight grandchildren – that must be fun! 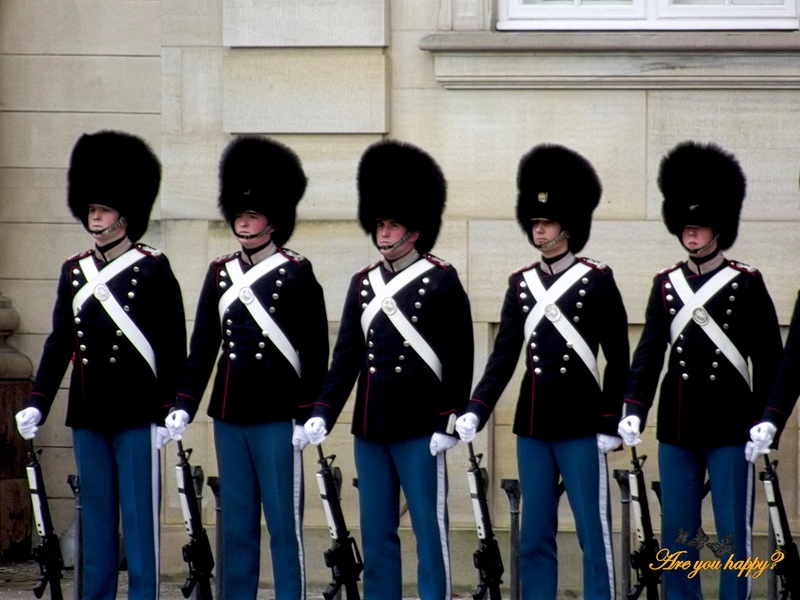 Every day at noon you can see the changing of the Danish Royal Life guard in traditional uniforms. 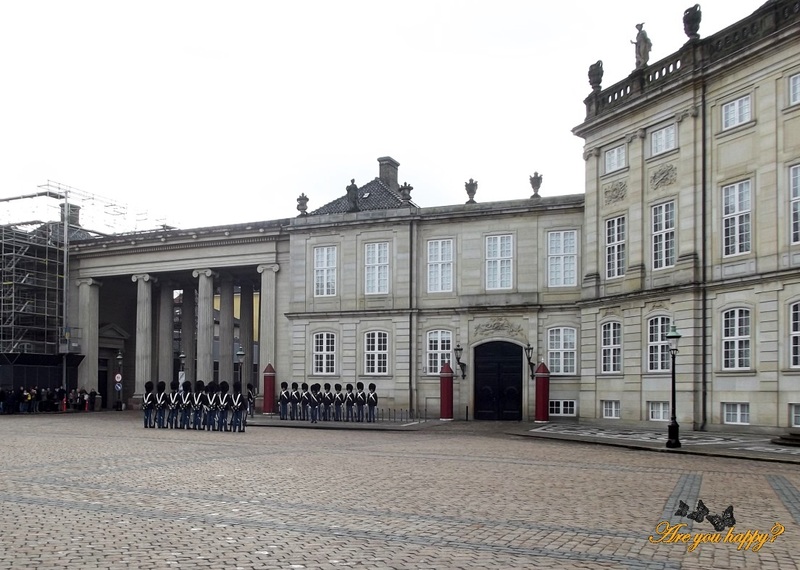 The route of the guards starts at 11:31 at the barracks and goes from Rosenborg to Amalienborg so if you are lucky you can actually catch them marching on the streets of Copenhagen towards Amalienborg. A renaissance castle and a former country summerhouse of the Danes Royals the Rosenborg Palace was built by King Christian IV in the 17th century and became his favoured residence. 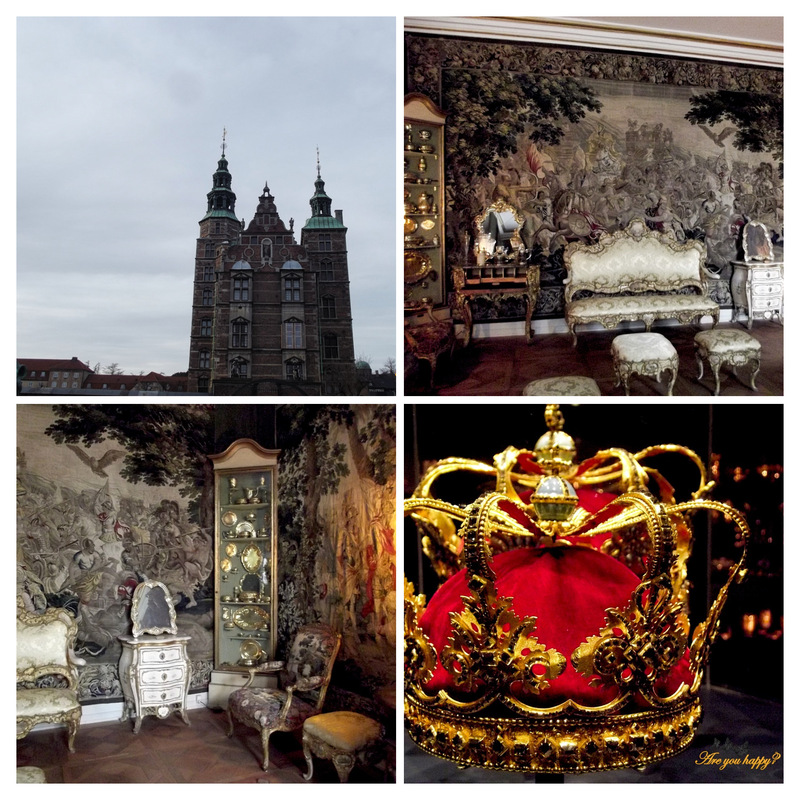 The Palace exhibits almost 300 years of the history of the Danish kings, valuable furniture, art treasures, well decorated rooms with impressive ceilings as well as an exhibition of the Crown Jewels and the Danish Crown Regalia (the symbols of the Danish monarchy – 3 crowns. Sceptre, an orb, a sword and an ampulla). 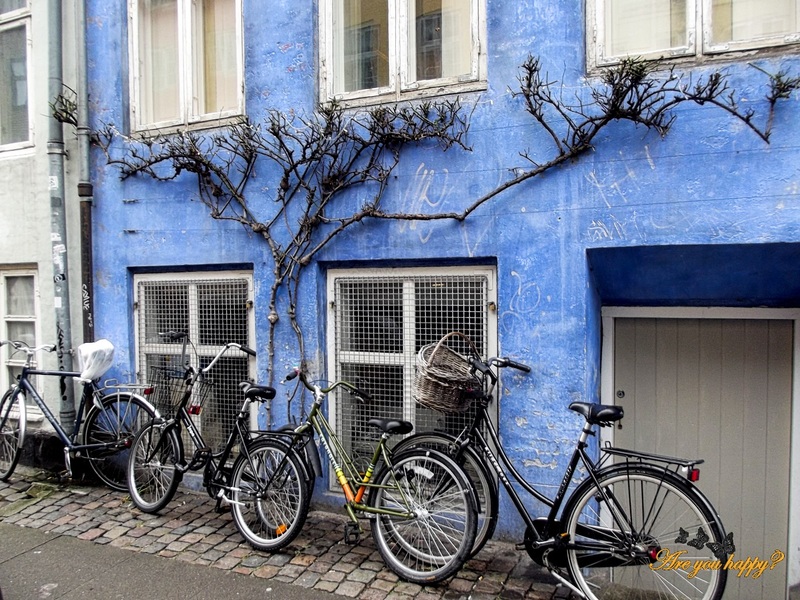 Christiania is located in Christianshavn and is walking distance from the port area of Nyhavn all you have to do is cross the bridge and walk some 10 minutes or so. Also known as the Freetown Christiania it is a self-proclaimed autonomous neighbourhood of about 850 residents located on the area of a former military base. The spirit of Christiania developed in a hippie movement, collectivism and anarchism. People of Christiania have their own flag and even currency called Løn. Christiania it’s famous for Pusher Street where hash and weed were sold openly (and it seems that are still sold). Once you reach Christiania you are greeted by the words “You Are Now Leaving the European Union.” and by 3 main rules: “Have fun, Don’t run, No photos”. There’s a hippie look all around, barracks, some buildings that look more deserted than occupied, stalls covered up so you can’t see the faces of the sellers where you can most probably buy hash and weed, graffiti works, some sellers of artisan works. We’ve only seen part of Christiania but with all respect for free spirit we can’t say we liked it that much. More about Christiania with pictures included in this interesting post http://www.littleobservationist.com/2014/01/27/colour-and-cannabis-in-christiania-copenhagen/ . The Little Mermaid (Danish: Den lille havfrue – still can’t properly read this one :p) is a statue by Edvard Eriksen, depicting a mermaid. 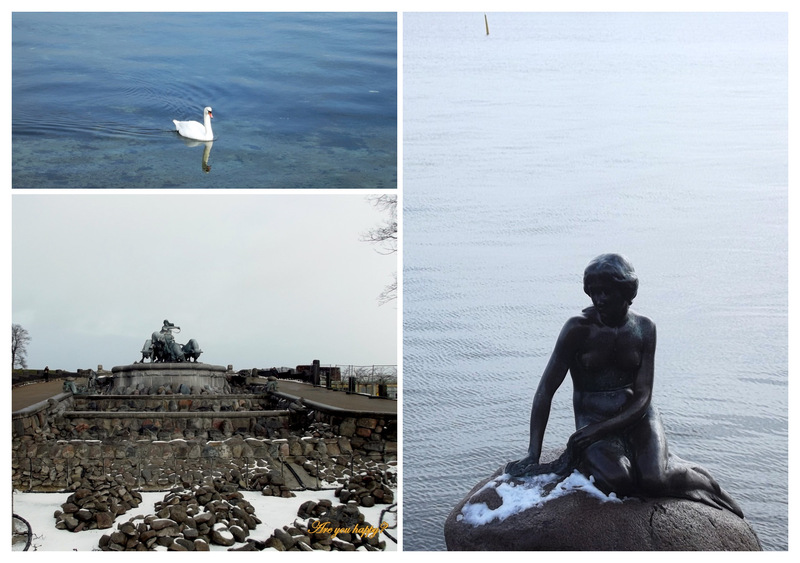 Based on the fairy tale of Hans Christian Andersen, the small statue is a Copenhagen icon and has been a major tourist attraction since 1913. The statue is located in the Kastellet area and you can actually walk from the city centre to see it no need to spend money on a boat cruise or a Hop-on/Hop-off bus. Honest opinion about this one is that is more advertising than an actual attraction; it is small, it gets crowded around the statue with people anxious to touch the statue and click pictures and that’s kind of all to it. 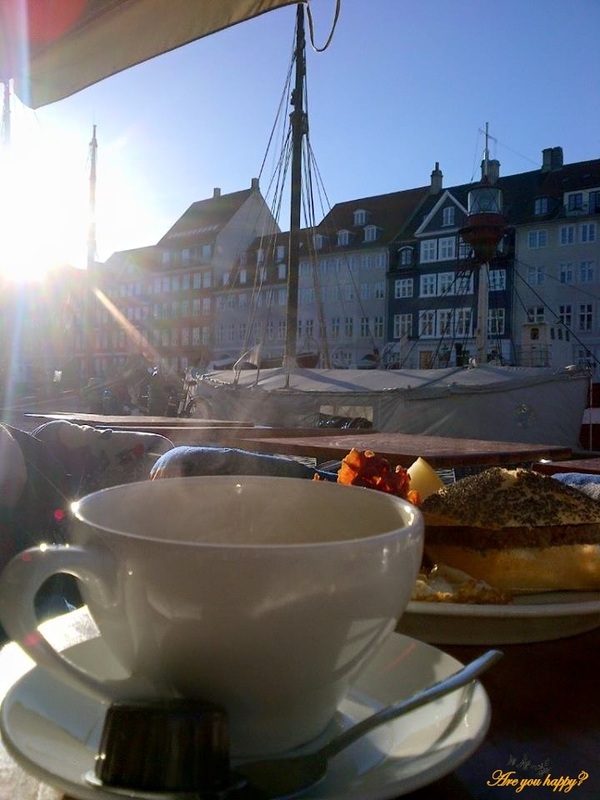 We tried to experience a variety of place while in Copenhagen so we went to restaurants in the Nyhavn area for breakfast, cafes in the city centre area near the Round Tower for late lunch or dinner and stopped for beer or coffee wherever it felt cosy enough. Our favourite places where Mormors and, although rather expensive, Geist. 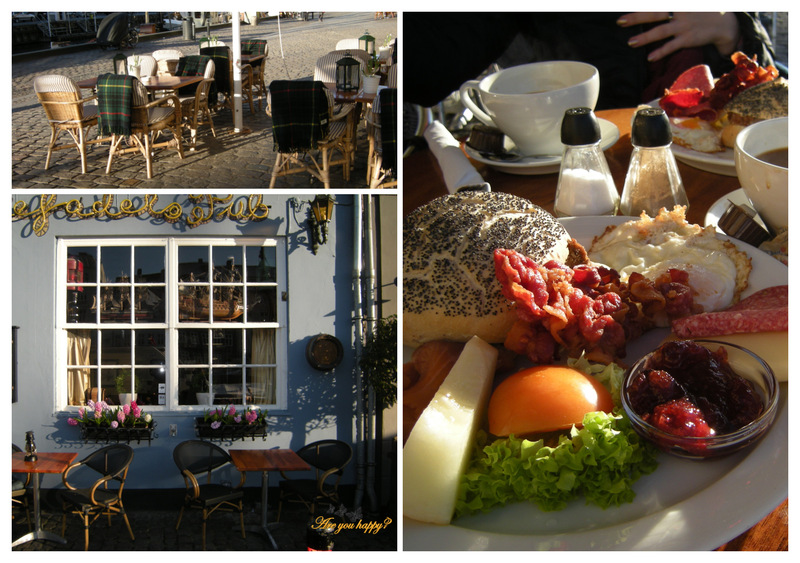 For more details on where and what we ate click here – Food & Drinks Copenhagen. We stayed in Generator Hostel on Adelgade Street just 5 minutes away from the city centre and the Nyhavn area. Comfortable room, great location, good prices, cool shared area downstairs with music and bar with food, drinks and even a pool table, lockers downstairs to leave your luggage if you want to walk the city some more after check-out, helpful staff. It is said that the Danes are the happiest people on Earth. We don’t know about that but we can definitely share with you that we felt the Danes as being peaceful and nice people, handsome, tall, neat, family kind most of the time surrounded by kids, friends or family, lovers of nature and spending time outside irrespective of the weather, bicycle riders and lovers, health orientated people with the word organic being used often. Interesting fact about the Danes is that they seem to have their own word for something that is cosy, comfortable, loving, and intimate all in one. And that word is “hygge”. To describe what hygge means is rather complicated but it seems to have something to do with people’s behaviour towards each other, the art of creating intimacy, the sense of comradeship, conviviality and contentment rolled into one. Click here for some Tips & Tricks of Copenhagen. Click here for our Top 10 experiences in Copenhagen. For more photos of Copenhagen just click here for our Facebook page. I feel like I was there with you! Thanks for joining the ride Christy :)! I long to visit Copenhagen for quite some time now; I hope it will happen soon. 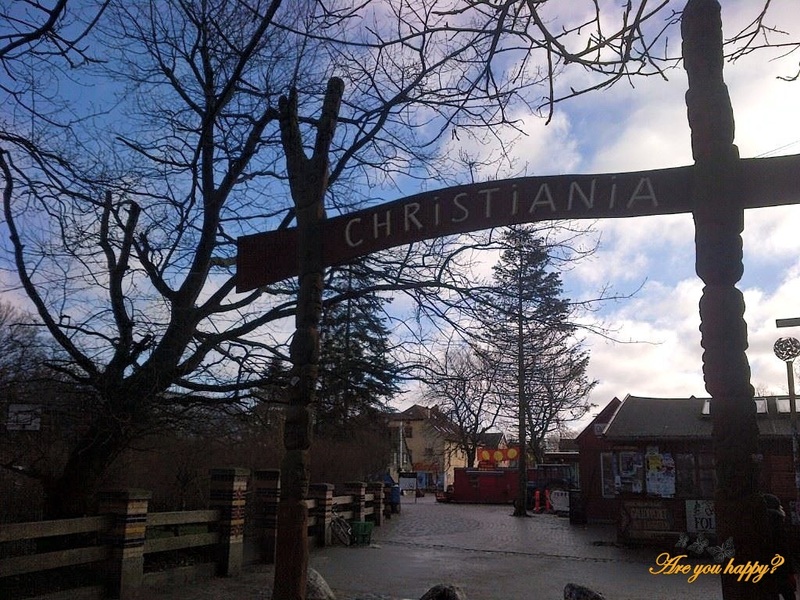 Was there a particular reason why you didn’t like Christiania or it is just not that impressive? Anca visit Copenhagen as soon as possible. It is so worth it!! As for Christiania honestly it was not that impressive ;). 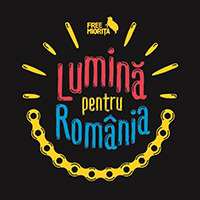 Worth seeing it as an experience but nothing more (of course unless you are a smoker). Hugs and drop me a line for any advice :).